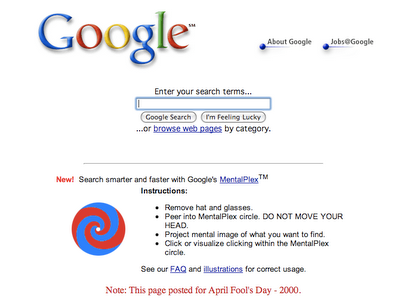 What's more there was also a detailed and serious looking MentalPlex FAQs page andillustrations. 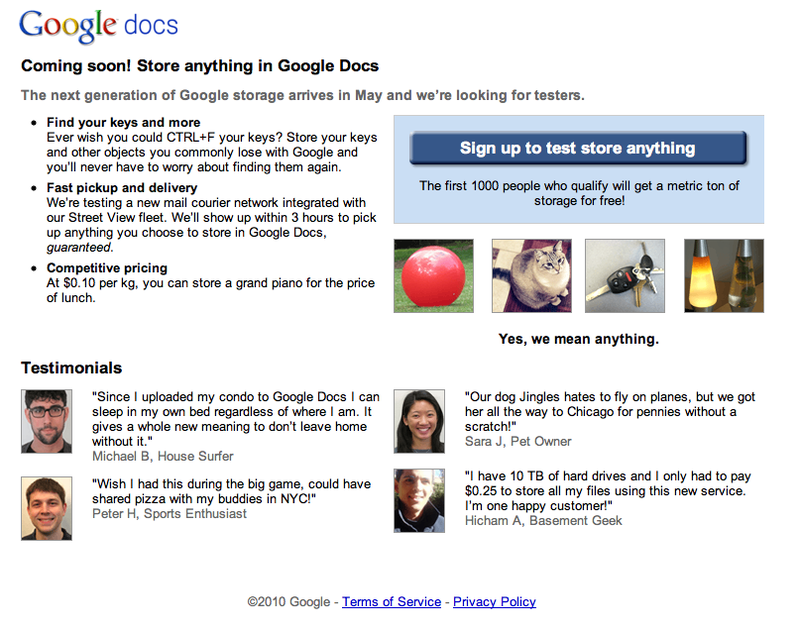 Within a few hours the word had spread that this was an elaborate April Fools' Joke by the then 1.5 years old Search Engine! 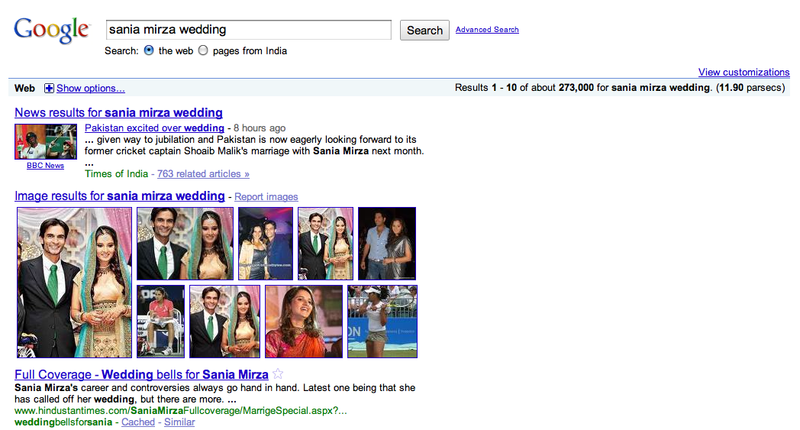 Since then this tradition of a Google Aprils' Fool Day joke has been continued. Here are the hoaxes from this year. 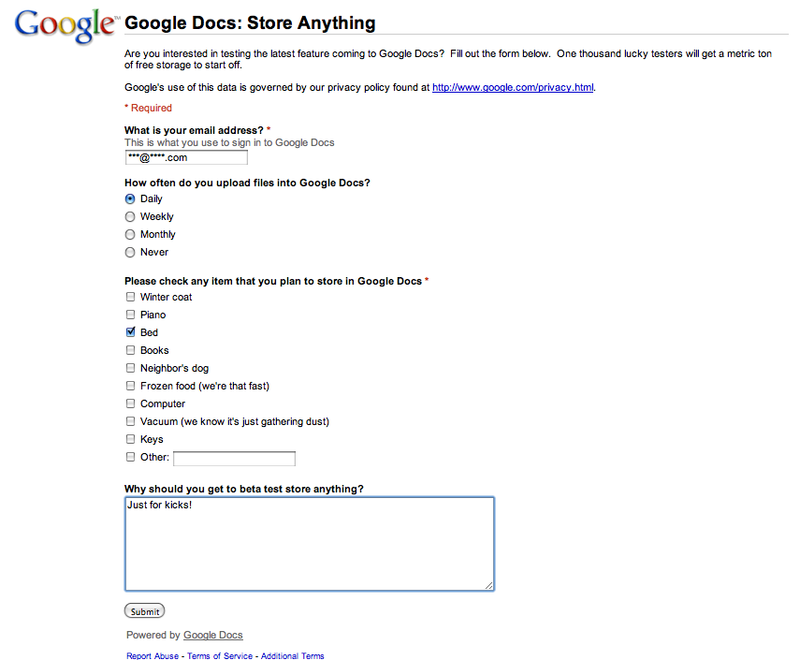 "As with documents, spreadsheets, and files, you also share objects you've uploaded to Google Docs with anyone in the world. For example, do you ever wish you could CTRL+F your house keys or your TV remote? 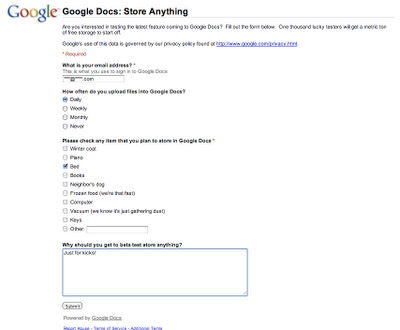 Store your keys, remotes, rail passes, and other objects you commonly lose with Google Docs, and you'll never have to worry about finding them again. Having trouble moving your piano from New York to California? Upload it from your home in New York, then download it once you're in California. Change your mind and want to share it with your friend in England instead? No problem. With one click you can have your piano delivered to anyone you choose, anywhere in the world. With simple pricing at $0.10 per kg, along with free pickup and delivery from any location on the planet, it’s hard to pass up." If you still fall for the trap then you can go ahead and test it and you will go through the following pages. And then learn that you have been fooled! 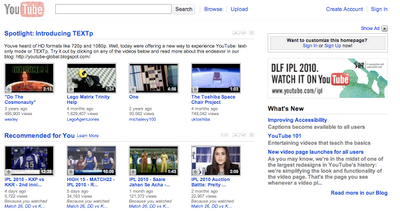 The logo of YouTube was changed to an ASCII-style one made out of 1s. 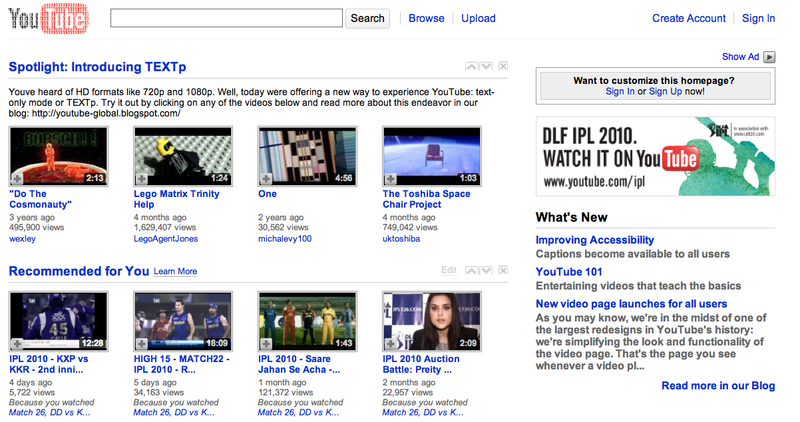 The Youtube logo is a reference to all the videos having a new quality setting, namely "TEXTp". According to a notice underneath the videos, viewing the video with this quality setting enabled allows YouTube to save one US dollar ($1) per second on bandwidth costs. The notice also remarks on the source of this new "feature", wishing the reader a happy April Fool's Day. 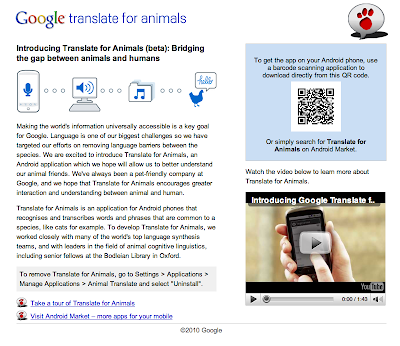 Here's what the Animal Translate page looks like, complete with a link to the Android Market. 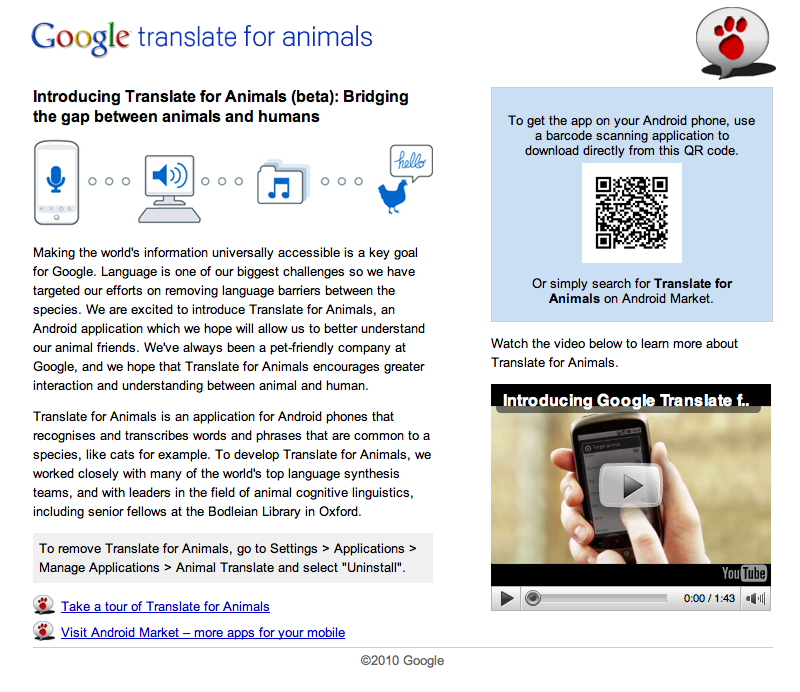 And a tour of Translate for Animals. The Google logo on the homepage changed itself to Topeka, a town in Kansas. 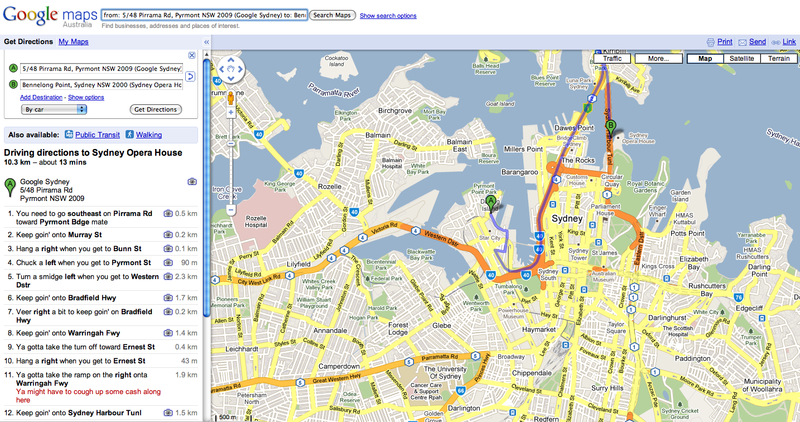 Here's why and here's how it looks. 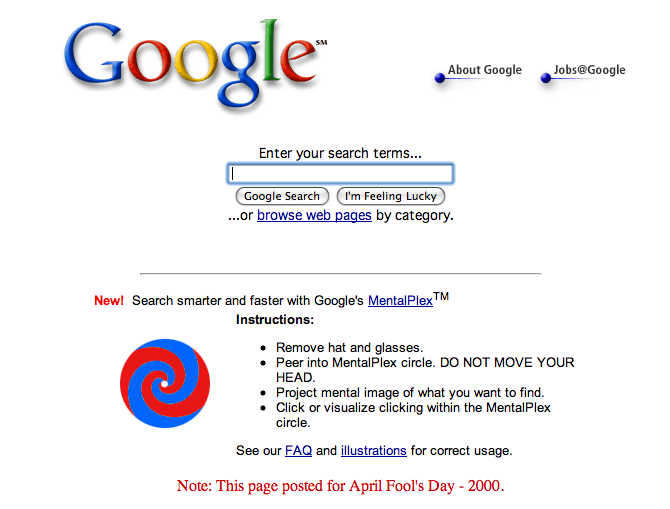 You can check this Wikipedia article for a complete list of Google April Fools' hoaxes since 2000. Also, this blog post will be updated as and when we hear about new pranks. Note: Original post was published here.